Mega Man co-designer, Keiji Inafune has revealed his latest game in Famitsu. 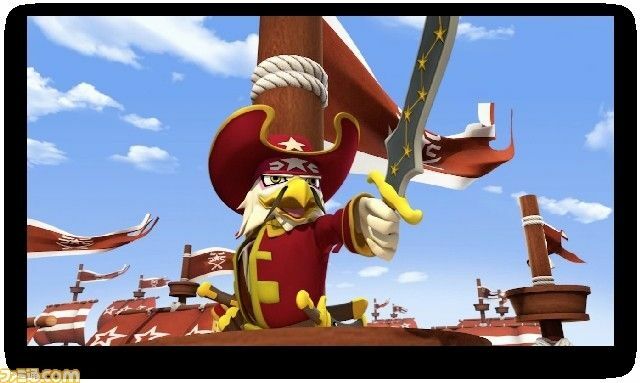 The game is titled King of Pirates and is exclusive to the Nintendo 3DS. Infafune also revealed that the action orientated RPG is set to be a trilogy and will be released next year. Who’s excited? 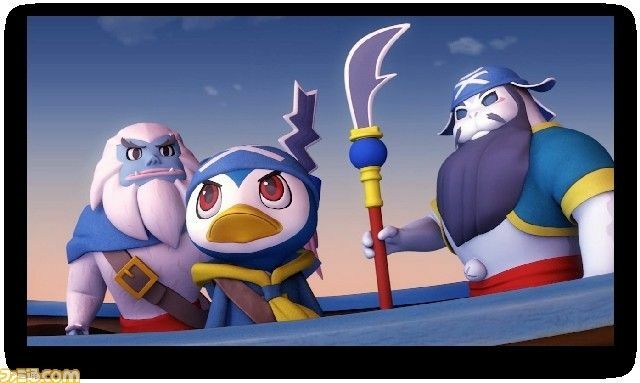 The game has a pirate theme, but also follows the story of Sangokushi. The cast of characters numbers over 300 and includes such animal types as penguins, cows, monkeys and dragons. The characters appear to be designed in the image of major Sangokushi figures. Ah, yes, it's clearly inspired by major Sangokushi figures. I noticed it immediately. Interesting! Excited to learn more! Cool! At first glance I thought that eagle was wearing a top hat that looked just like a mast! EDIT: Looking more forward to it. Check out this exciting trailer! It also looks like the type of game that is announced as a trilogy, and will never actually get 3 games made for it. Glad to see he's still making games, but this doesn't really seem interesting to me. I'm not into personified animals. Looks pretty cool. I'll probably be more interested once I see some gameplay. GameDadGrant, you can post this on the intro if you want. I'll delete this post if/when you do. I really like the style, but I have no idea what the game will be like. I'm hoping it'll be good because PIRATE DRAGONS! Or is it Dragon Pirates? Marvelous! They're back! And not just on the PSP! It's action-based, so I'm down for this. Let's see what Keiji can do, when he's not (reportedly) claiming credit for the ideas of others! I like the style! But just like @ploot said, I have no idea what the game will be like.